↑ Moore, Walter J (29 May 1992). 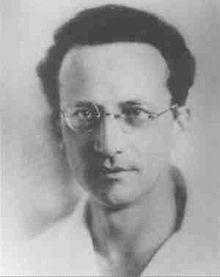 Schrödinger, life and thought. Cambridge University Press. pp. 10–. ISBN 978-0-521-43767-7. http://books.google.com/books?id=m-YF1glKWLoC&pg=PR10. Retrieved 7 November 2011. Critical interdisciplinary review of Schrödinger's "What Is life?"